I usually like to leave a good amount of improvisation in my travels, but when I eventually decided to visit Brazil I soon found out that an accurate planning was more than an option. It was a necessity. Brazil is a huge and diversified country, and since I had only a limited time, choosing which places to visit and for how long, finding out the best itineraries and the right balance to see as much as possible without rushing was not an easy task. I was curious to visit the lively Rio de Janeiro and experience the charm of Salvador de Bahia, but I also wished to explore some wilder, off the beaten track places like the Parque do Lençois and Fernando de Noronha. After having studied the distances and the flights I was able to draw the ‘perfect’ itinerary, resulting in one of the most beautiful trips I made in the recent years. Seven legs for a wild journey through Brazil. I spent only a couple of days in Rio and I enjoyed what little I experienced although the city is so huge that it would need a much longer stay. I’d surely go back one day, hoping for good weather to fully appreciate the beauty of the view from the Corcovado on one of the most famous (and beautiful) bays in the world. 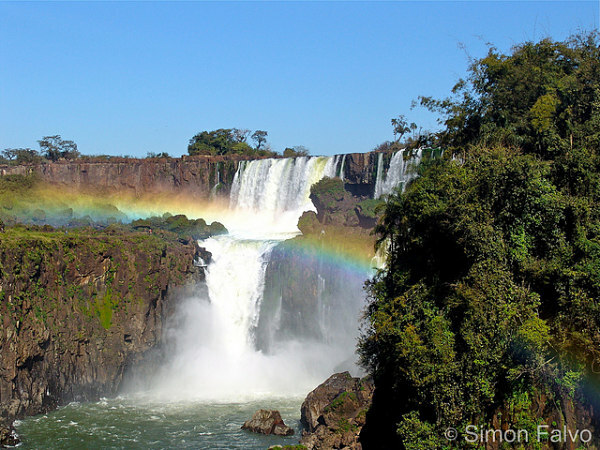 Although isolated from the rest of the itinerary, which was heading me to explore the North-West area of Brazil, I wanted to see the world-famous iconic Iguazu waterfalls….. One day on the Brazilian side, the other on the Argentinian one. Which one is the best? Hard to say, as both are awesome and offer different view points. If I had to choose… I’d probably say Argentina. 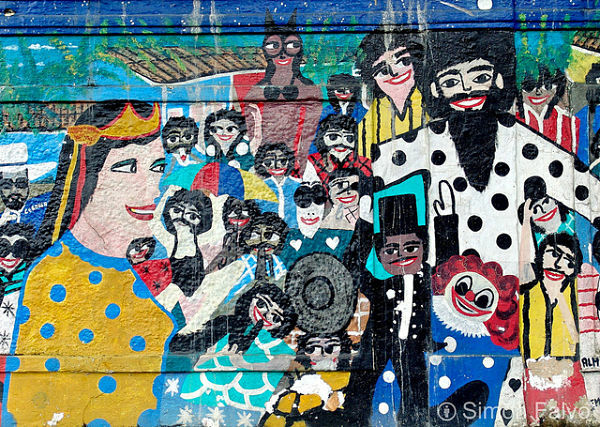 In Salvador de Bahia I found everything I had imagined about Brazil after reading Jorge Amado’s ‘Dona Flor and her two husbands’, and even more. The colored houses of the Pelourinho – the historic centre of Salvador de Bahia -, the music, the feeling of joy at every corner and the exquisite food. 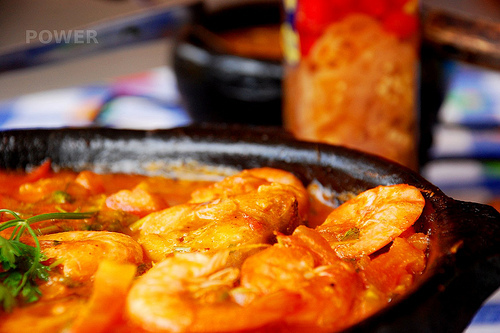 Don’t miss to taste the traditional Moquequa Baiana, a fish stew which, in Salvador de Bahia, is mixed with African influences and one of the most delicious dishes I have ever relished. The real highlight of the trip, the place I had dreamed of and which I was so looking forward to see. I fell in love with the small ‘pousadas’ on the wild beach and the endless white dunes with their deep blue or green pools. I was captivated by this awesome and somehow surreal landscape and could have stayed for weeks. Parque do Lençois really made me wild. I don’t know if it was only by chance, but the only evening I spent in lovely São Luís was a blast. Music at every corner, people dancing and chatting, surrounded by the awesome colonial architecture. The city seemed so lively… And I kept awesome memories from my short but intense stay. 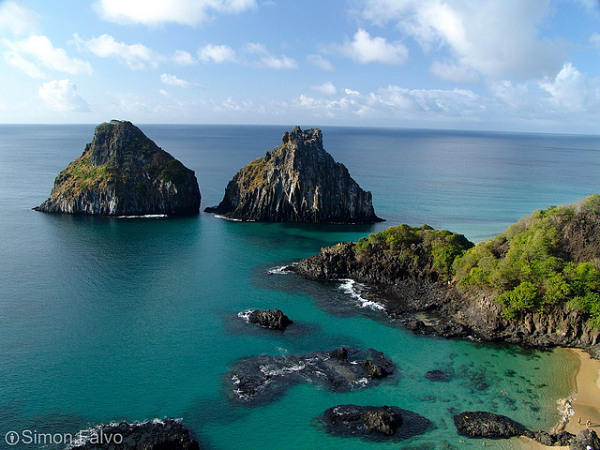 Over 350 km (220 miles) from the coast, amidst the Atlantic Ocean, Fernando de Noronha is a volcanic archipelago of 21 isles. The main island is a UNESCO World Heritage Site, both wild and exclusive. Since it is a protected area, only a limited number of visitors are admitted every day (around 500) and this is probably the main reason Fernando de Noronha is overall quite expensive, even staying in a simple local pousada. However, the beauty of the scenery and of the beaches are well worth the long journey despite the inflated prices. With its pastel colored little houses, the funny graffiti, the charming bars and restaurants and the narrow cobblestone streets Olinda is a little gem. A perfect place to spend a couple of day chilling out, strolling around, nosing in the little shops and just enjoying the relaxed atmosphere. There’s much more to discover in Brazil besides this wild journey, but with a little less than one month, this itinerary gave me a taste of this amazing country without too much rushing. Brazil made me wild, and I’ll sure go back one day! Unfortunately we only spent 4 days in Brazil (on a Visa run) and spent them all at Rio. 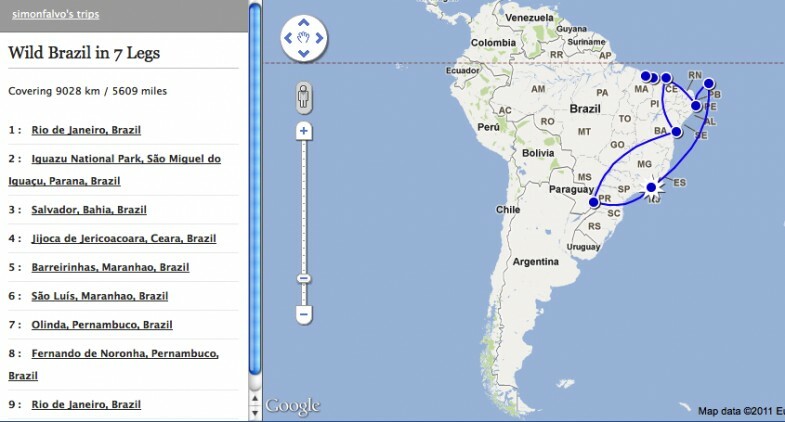 We found it to be a bit ‘meh’ to be honest and if we had our time again would have explored other area on Brazil. The rest of the country looks fantastic. Every time I read about Brasil I remember how much I want to visit it – these really famous places, but also some off the beaten path. Lovely photos and great recommendations – as always! Can’t believe I missed this post! SO glad I found it now. There is so much to see in Brazil, and I have never been to the northeast, but I will go soon, maybe next year after my younger son is a little older. Fernando de Noronha is at the top of my Brazil list. No worries, Jenna. There’s so much to read throughout the web! Brazil was one of my best trips ever and I so long to go back! 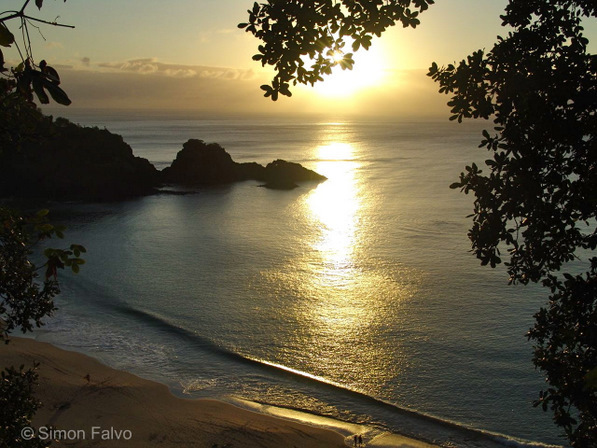 I’m sure you would fall in love with Fernando de Noronha. Only problem, is the cost. So expensive… Enjoy Brazil! Wonderful, I so want to go back to Brazil! Sounds like a wonderful trip! I hadn’t thought of visiting Brazil before but now I am wildly interested in seeing the beautiful places on your itinerary. So many places!! Thanks for sharing your Itinerary and photos. Wow! What a great place! 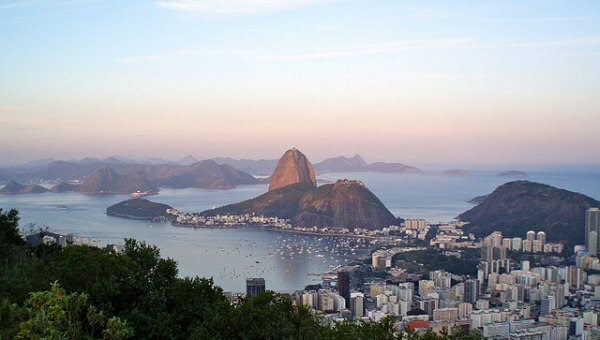 I’ll be visiting Rio next year, so I’ll definitely go to these places as well! Thank you for sharing these great photos! You sure covered a lot of ground in one month. Isn’t it funny that what used to seem like an impossibly long vacation suddenly seems waaaayyy too short? It sounds like you had a great trip! I’m glad you enjoyed the country and got to see so many different places. 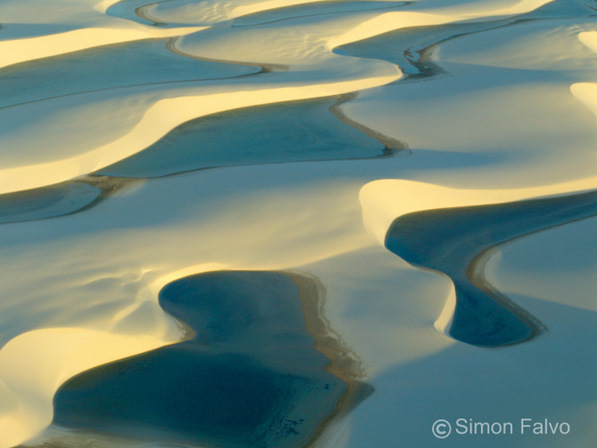 Most people don’t make it to that many far-flung locations when they go to Brazil! Looks like your made an excellent choice for your itinerary Simon. How much would a trip like this, but not including transport to Brazil, cost a budget traveller? Good question, John. Well… Although not super expensive, Brazil is also not that cheap. Of course, being a huge country it depends from the areas and I do not exclude at all that with a longer and more accurate planning one could spend less than I did. Some places, like Iguazù and Fernando de Noronha, are quite expensive, especially if you think at what you get for what you pay. But I fell in love with Noronha (not with Iguazù… I confess). Cities are more expensive too. But again, it depends. During a part of my stay in Rio I was alone. And although I am not easily scared, it is fair too admit that there might be safety issues. Thus I tried to find the right balance between price and safety, which meant spending more. Wow, I don’t know much about Brazil other than the main places like Rio and Iguazu. However, Parque Do Lençois de Maranhenses is amazing!! One day I will make it there but this is a great list of places! Fernando de Noronha is my FAVE beach destination in the whole world. Brazil rocks! Beautiful post Simon about a country that seems like a great destination to visit! I’ve wanted to visit Brazil for a while and now, after reading your post and enjoying the photos you took, I want to catch the next flight out (don’t I wish…LOL). Great job and thanks for sharing my friend! What a fantastic itinerary. I especially love the photo of Parque de Lancois – had no idea that was part of the Brazilian landscape.It makes me want to go.